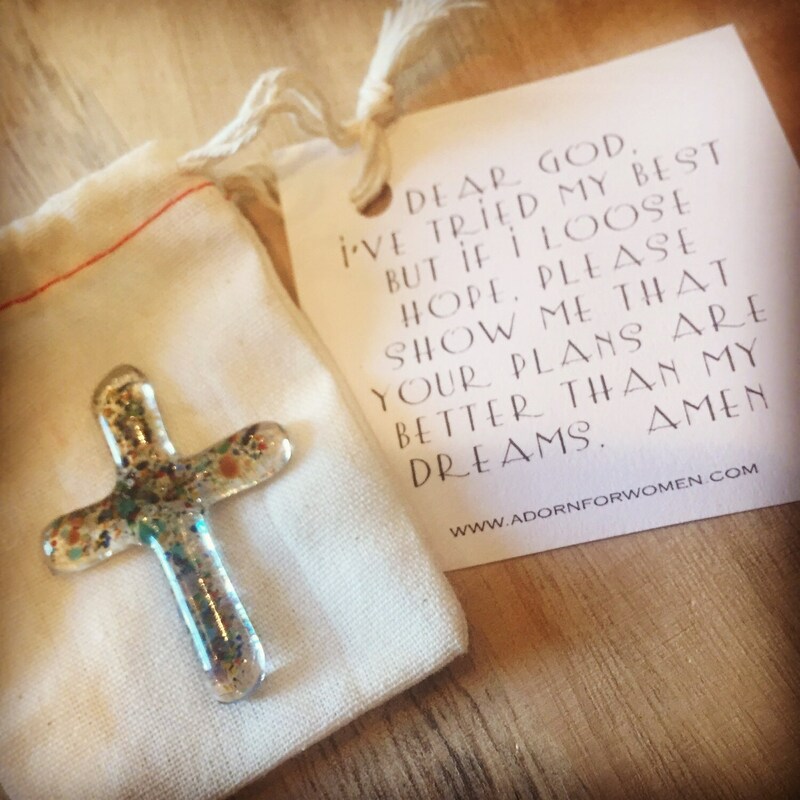 Keep your Prayers close with this Artisan Glass prayer cross packaged in canvas bad with prayer attached. Each cross is hand cut and fused. Colors may vary. A wonderful, handmade glass pocket cross, sparkling with color, and a cool and smooth texture to the hand that is very calming. A beautiful little reminder of God's love!